This day you have an early morning breakfast (06:00Hrs) and drive to Kinigi park headquarters for group arriving not later than 0700 Hrs for guide allocation and briefing. This is followed by a drive to the trailheads where hiking and trekking up the hills to the bamboo zone begins. Hiking, trekking and tracking gorillas may take 2-3 hours. Sight and stay with the Gorillas for one hour. Descend to your hotel for lunch. In the afternoon visit Lakes Burela and Ruhondo community. Return to Kinigi in time for dinner. Overnight at Mountain Gorilla View Lodge/ Kinigi Guest House / Sabyinyo Silverback Community Lodge (B/L/D) (This tour of Lakes possible if guests finish tracking on time at no extra cost). After breakfast drive to Kigali . Have a city tour followed by lunch. In the afternoon transfer to the airport for home flight. (3) LUXURY =2Nights Sabyinyo Silverback Community Lodge+1 Night Kivu Serena Hotel . All prices are on full board basis. Green Season for Sabyinyo Lodge falls between 01 April-31 May when prices are lower than above. Accommodation cost per person sharing on full board basis. Complementary tour of Lake Kivu on day 2 if you finish tracking on time. Complimentary tour of Genocide memorial of Gisozi the last day if time allow. Plenty of mineral water during your tour. Tips& Gratuities to guides, drivers and hotel staff, Beverages, Extra meals, Optional tours, Air fares,Visa fees and Travel Insurance. Guests are advised to take a comprehensive travel insurance prior to arrival. Gorilla Permits: In theory, gorilla permits are non transferable and non refundable. However we do transfer permits and refund permit amounts to our guests. We guarantee this. The activities will require an extra day. Please book with us in advance. Gorilla Trekking Rules and Regulations. When you encounter gorillas, you are required to portray total submissiveness. Do not look at them straight in the eyes and avoid standing over them. If the male gorilla charge at you, crouch down. Gorillas have freedom of way. Do not drum your chest. Flash photography is prohibited. Tourists are allowed normal photography and filming for domestic use. Special Photographic and filming safaris may be organized for particular groups. These will include those who want to film specifically for commercial use and documentaries. These will require accreditation cards unlike normal tourists. There are currently approximately 700 mountain gorillas in the wild. Thus these animals are classified as endangered species. Gorilla tracking if unchecked can endanger the life of gorillas. 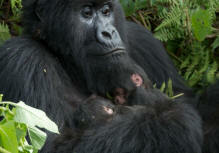 Gorilla tracking in Rwanda is restricted to 8 persons per day per group. That makes a total of 56 permits per day. Avoid trekking gorillas if you suffer from contagious disease. In case you develop a sever case of flu, your money will be fully refunded if you make this known in advance. However if you attempt to track and fail for whatever reason, or if the guides discover that you cannot track due to disease, you do not qualify for any refund. Do not spit in the forest or defecate carelessly. If you need to the guides will help you with a matchet to dig a hole to bury your waste. 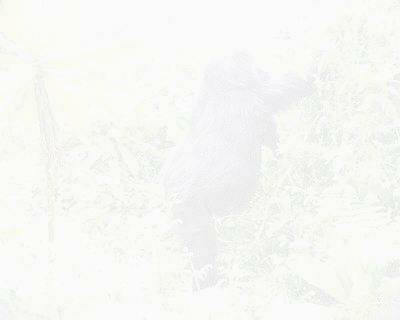 Gorilla trekking is a clean activity. Leave only your steps in the national park. Do not litter and if you spot any litter, collect it and take it down with you. How hard should one prepare for gorilla tracking in Rwanda? The facts below will help you to answer this question. Trekking gorillas in Rwanda takes place at altitudes of 3000 metres-this means that moderate/ average physical fitness is what is necessary and not athletic fitness. Hiking Gorillas is conducted at a moderate pace with plenty of stops for resting, fielding questions further briefs etc. Competitive hiking is discouraged as the aim of the guides, porters and rangers is for all the group members to make it to the gorillas and back to the base. Believe it or not, the slowest hiker/ trekker will determine the pace of the trek. You can carry your picnic but do not eat in the vicinity of the gorillas. Please do not imitate the male gorilla chest beating. It may take that as a challenge and charge after you which can result in severe injuries. 8. Age Limit: Only people of 15 years and above can track gorillas.